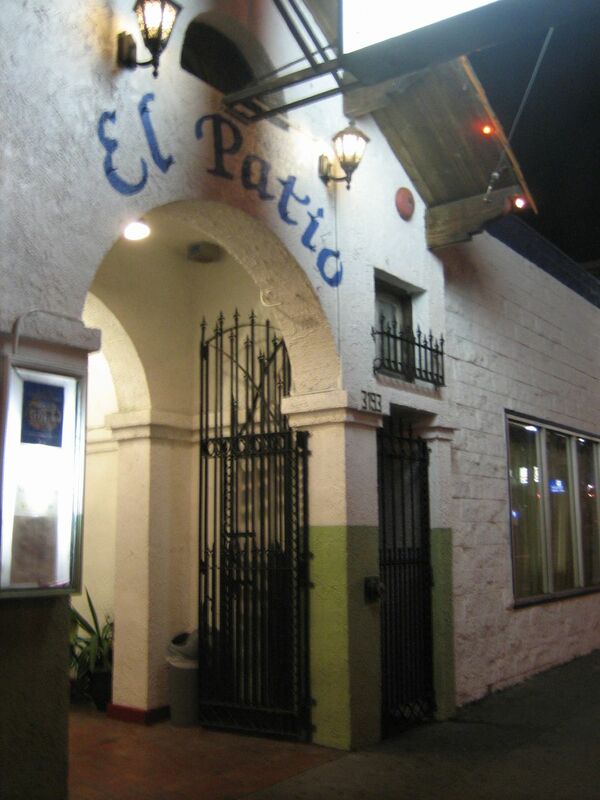 My Salvadorean friend brought me to El Patio a while ago for some pupusas which he said are good, of course not as good as his mom makes. I thought they were pretty good, the outer shell not too thick and doughy with a good ratio of cheese to beans or meat. Made fresh. 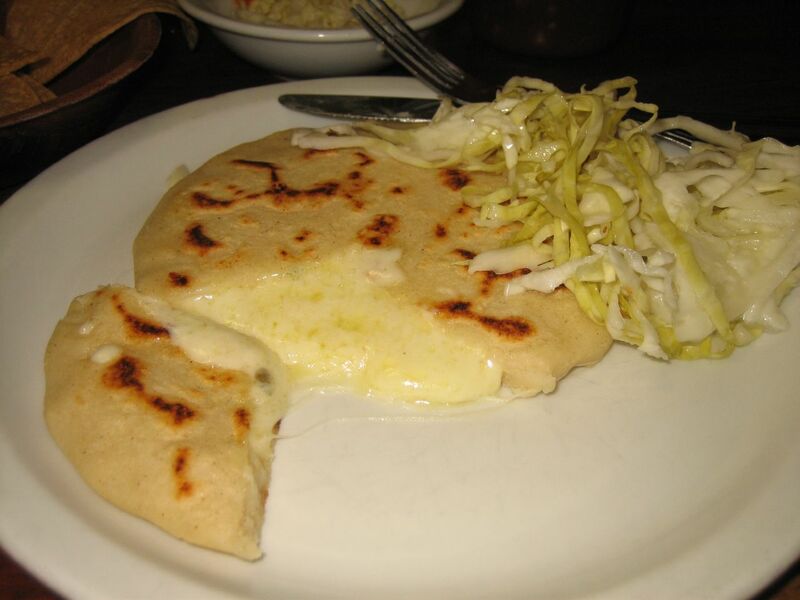 This time I had the loroco pupusa which was very fragrant, but a little heavy on the cheese for my tastes. Still one of the best I've had. 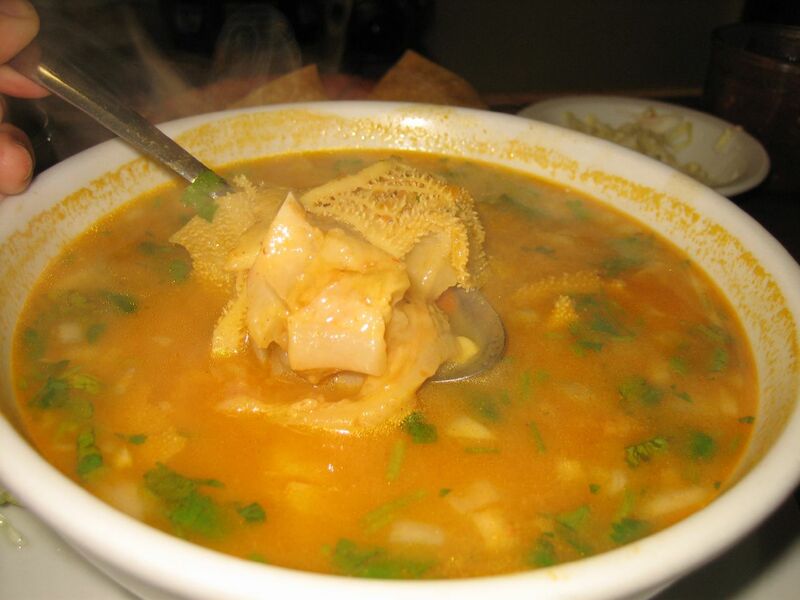 The sopa de menudo was another story. 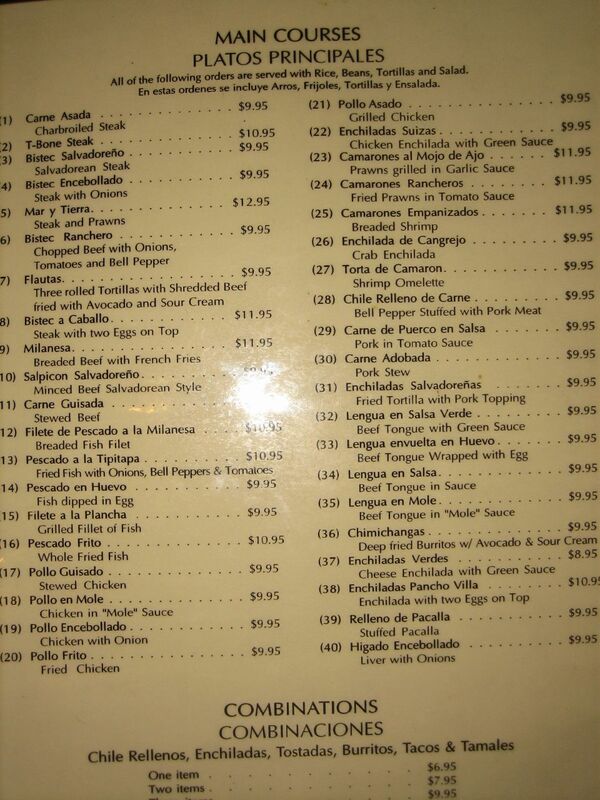 I should've stuck with something from the Salvadorean section of the menu, but I was distracted by the extensive list of other items. Though packed with tripe and tendon the broth was flat, with the look color and taste of powder based soup. I'm sure it's used in restaurants more than I know, but this time it made for a very flat and somewhat salty soup. I enjoyed the neighborhood atmosphere of the place. The service is very attentive and friendly. I sat at the tiny bar counter. Soon a handful of spanish speaking locals came in and joined me there -- for dinner or a drink and watch soccer or tv novellas. If the place was smaller, it would have an even cozier feel. 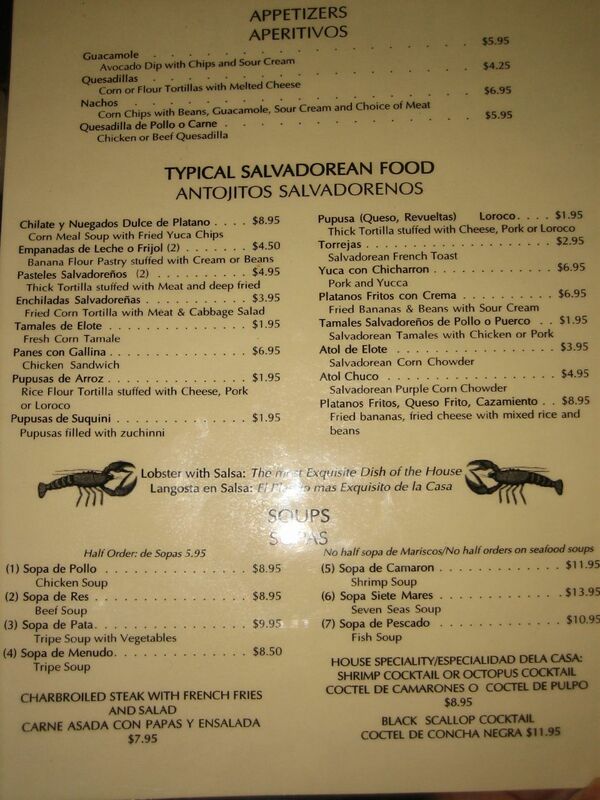 Will be back for pupusas and to try more of the Salvadorean items.